The resettlement of Muslim IDPs that took place in Wilapattu recently was conducted on land which was rightfully theirs, and no forestland was cleared for this purpose, Minister of Industry and Commerce Rishad Bathiudeen said yesterday. 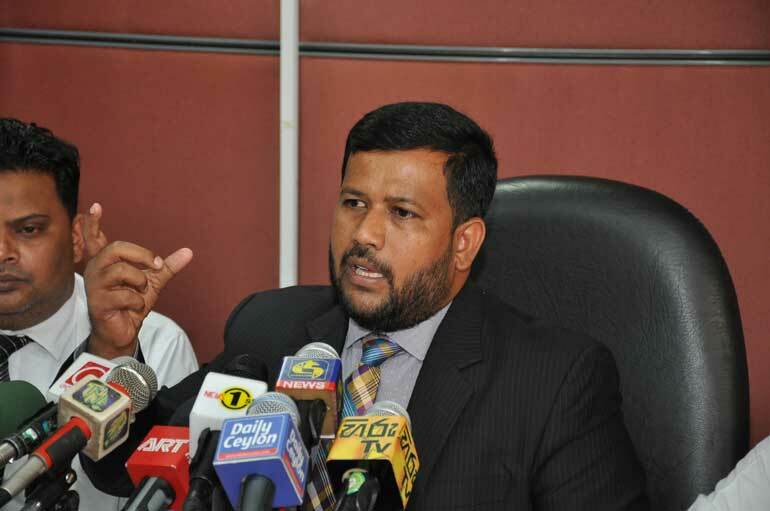 Speaking to the media yesterday, Bathuideen said the ongoing controversy surrounding the resettlement issue in Wilpattu was a total fabrication made by racist elements and parties with vested interest and that any complaints made against his personal involvement in the matter were politically motivated. The Court of Appeal had on Monday issued notice on the minister to appear in court on 16 September, following a writ petition filed against the alleged illegal removal of forest cover and illegal resettlement in the Wilpattu National Park. However, welcoming the court notice as an opportunity to reveal the truth, Bathiudeen said he was eager to place on record, before a court of law, documented proof that no wrongdoing had taken place. Action is being sought against the resettlement of Internally Displaced Persons (IDPs) to the Marichchikatti, Karadikuli, Palakkuli, Kondachchi and Mullikulam areas, by environmentalists misled by racist elements attempting to deprive the Muslim community of their right to come home, the minister charged. “First they claimed these IDPs were being resettled inside the Wilpattu nature reserve. When evidence was provided that these people are returning to their own lands they had inhabited prior to forcible eviction by the LTTE in 1990, they changed their charge to imply that they are being settled in the Kallaru forest reserve. This is a total fabrication of facts. Now some environmentalists, who have been misled by racist elements, have filed action against the resettlement of Muslim IDPs who were expelled by the LTTE. Their resettlement is being undertaken in the former lands occupied by them, with government approvals,” he said. According to Bathiudeen, the IDPs are in possession of documents and deeds dating back to 1906. No jungle land has been cleared, he reiterated, other than what he called the small growth of forest that had taken place during the 20 years of abandonment, due to the forcible eviction of the Muslim population from the Northern Province by the LTTE. “I would like to stress that this complaint is politically-motivated and is an attempt to deprive the Muslim community of their right to return. I would also like to point out that thousands of families from Hambantota, Moneragala and other southern districts have been settled after the end of the war. A large extent of virgin forest was cleared for this purpose. None of these racist elements and environmentalists has spoken a word against these resettlements,” he said. Bathiudeen also spoke of an alleged conspiracy against him in the run-up to the upcoming parliamentary elections. Drawing attention to a letter he wrote to Elections Commissioner Mahinda Deshapriya, the former MP said a member of the Sri Lanka Muslim Congress (SLMC) with ties to Bathiudeen’s political opponents is engaged in a false and defamatory mudslinging campaign against him.